It is Genuine Brand New. 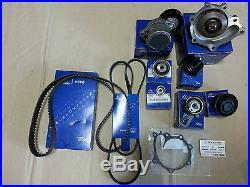 DIESEL TIMING BELT KIT WITH WATER PUMP. 0K88R12740 TIMING BELT ROLLER A. 0K88R15987 BELT FOR PUMP ALTERNATOR. 0K88R12750 TIMING BELT ROLLER B. 243174X001 TIMING BELT ROLLER C. 252814X100 TENSIONER FOR ALTERNATOR BELT. 252864X000 TENSIONER FOR ALTERNATOR BELT. 0JE2612601A X2 CAM OIL SEAL. Please give us your inquiries. Body Parts : Guards, Front&Rear Bars Complete, Tailgates, Doors, Headlights, Taillights, Bonnet, Grille. Electrical Parts : Altenator, Starter Motor, AirBags, Regulators, Electric Windows, Switches, ECU. 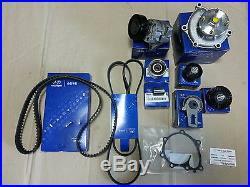 Mechanical Parts : Engine, Gearbox, Struts, Power Steer Pump, Water Pump. Interior Parts : Seats, Trim, Instrument Cluster k1. The item "HYUNDAI TERRACAN 2.9L 2004-2006 GENUINE DIESEL TIMING BELT KIT WITH WATER PUMP" is in sale since Monday, October 12, 2015. This item is in the category "Vehicle Parts & Accessories\Car, Truck Parts\Exterior\Other". 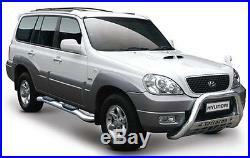 The seller is "autopartswill" and is located in Kudla, SA.